Most amazing view high above Arachova, the interior was cozy home feeling. Excellent communication by Christina. View from the dining area was amazing!!! Location is strategic considering relatively easy access to Arahova. Parking space a big plus!!! Amazing location and views. Christina is an excellent host. eWorld definitely be coming back. Awsome location, lovely house, great places to visit in the proximity, supportive and kind host. Thank you, Christina! Lock in a great price for Tripio Lithari – rated 8.7 by recent guests! 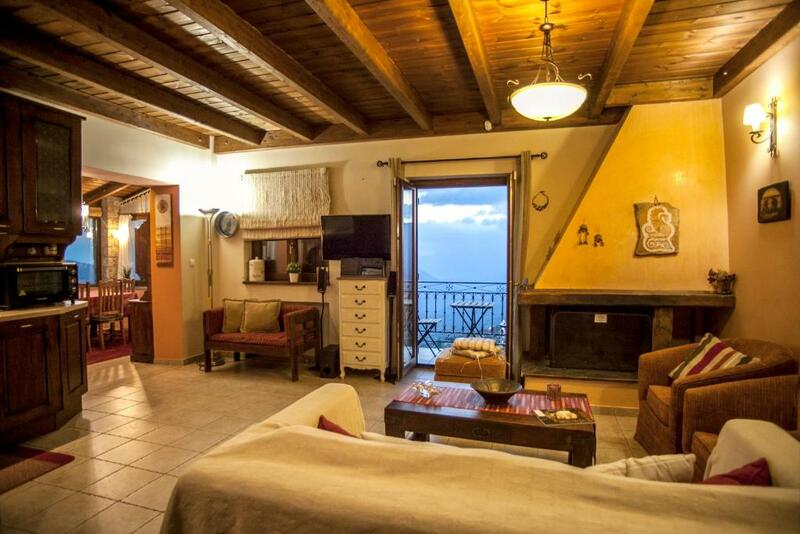 The stone-built Tripio Lithari offers 3-level accommodations in the outskirts of Arachova, within walking distance of the center and 3.7 mi of Parnasos Mountain. Free private, closed parking is available on site. This home features a fully equipped kitchen, complete with a fridge and a dishwasher, a microwave oven, a toaster and a coffee machine.The unit also includes living and dining areas and 3 double bedrooms. A shared bathroom is available for the two bedrooms on the lower floor, while the third bedroom is set on the top floor, enjoying a separate living area. The holiday home features free WiFi throughout the property. The arcaheological site of Delphi is a 10-minute drive away. 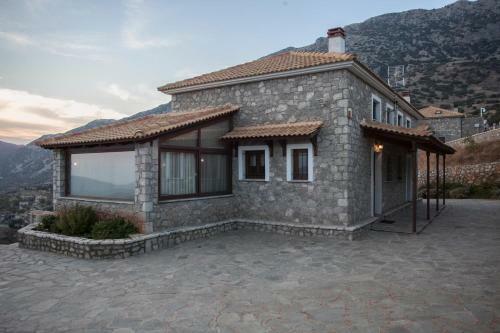 This property also has one of the top-rated locations in Arachova! Guests are happier about it compared to other properties in the area. 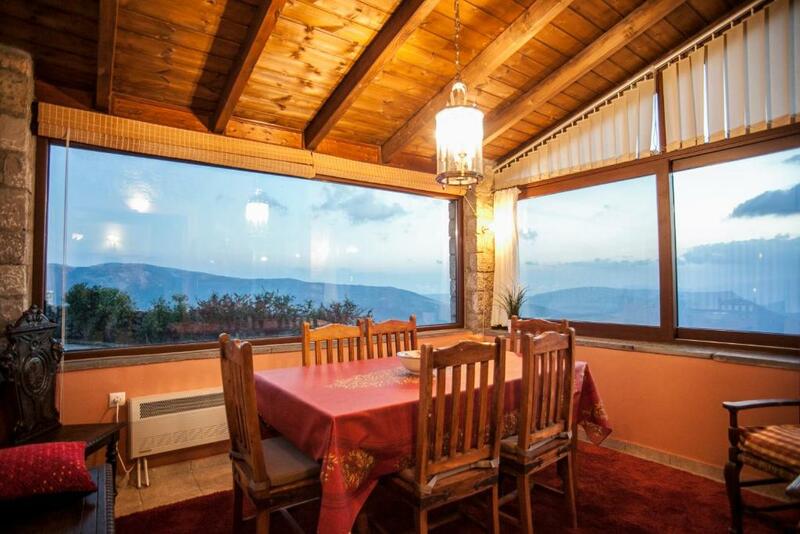 뀐 Located in the top-rated area in Arachova, this property has an excellent location score of 9.6! When would you like to stay at Tripio Lithari? 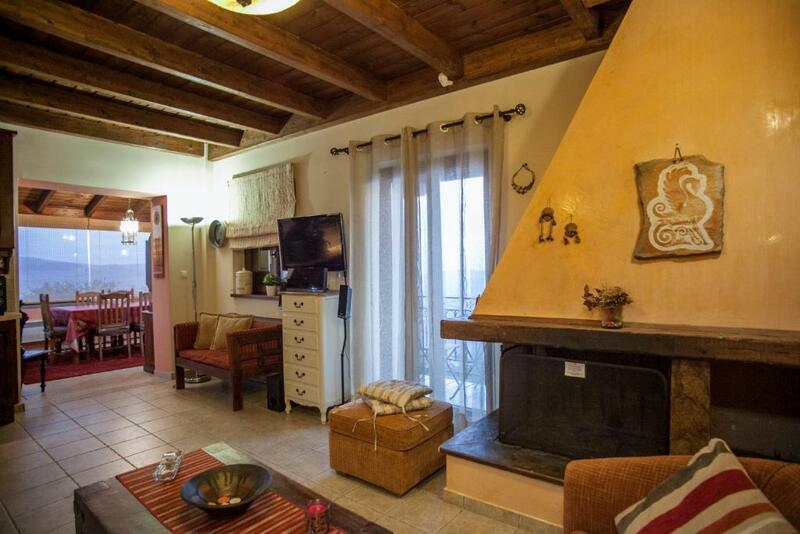 The house is split in 3 levels.The ground floor has a large living room with a flat-screen TV, an open-plan, well-equipped kitchen, a small balcony, and a bathroom. 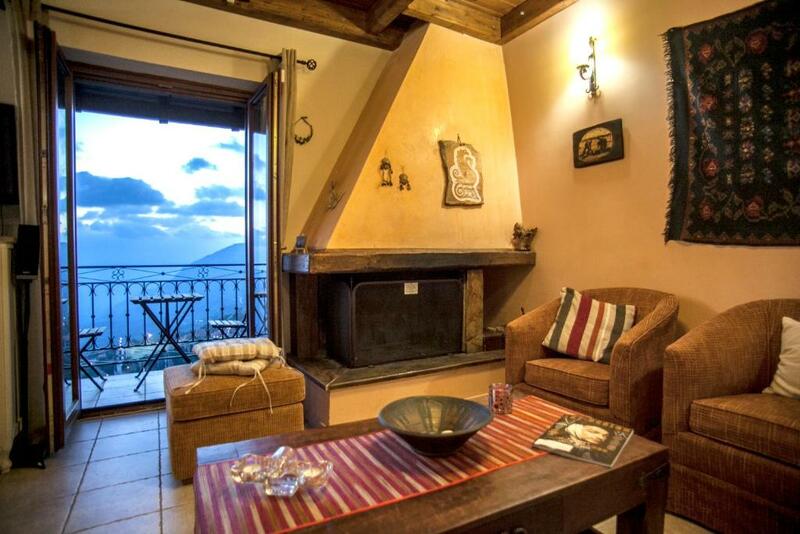 The adjoining dining-room offers views of the valley towards Delphi and the Corinthian Gulf. On the lower ground floor there are 2 bedrooms with access to another courtyard, and a bathroom with washing machine. The top floor has a bedroom, a separate living area, TV and DVD player. 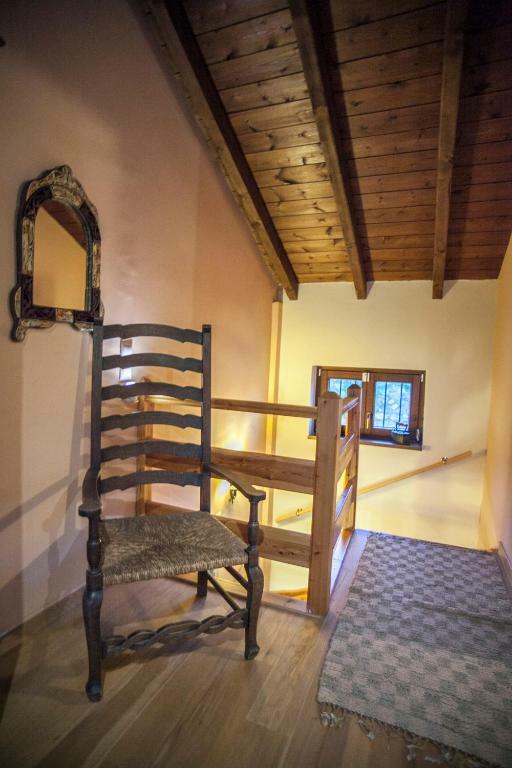 Located on the outskirts of the quaint village of Arachova, our home was built with extra love and care which we would like our guests to feel by staying there. With safe enclosed parking, the spacious 3 floor stone-built condo is equipped with all the modern facilities required for a comfortable stay. It's within walking distance from the centre of the village where there are many restaurants to choose from, as well as a central super market. 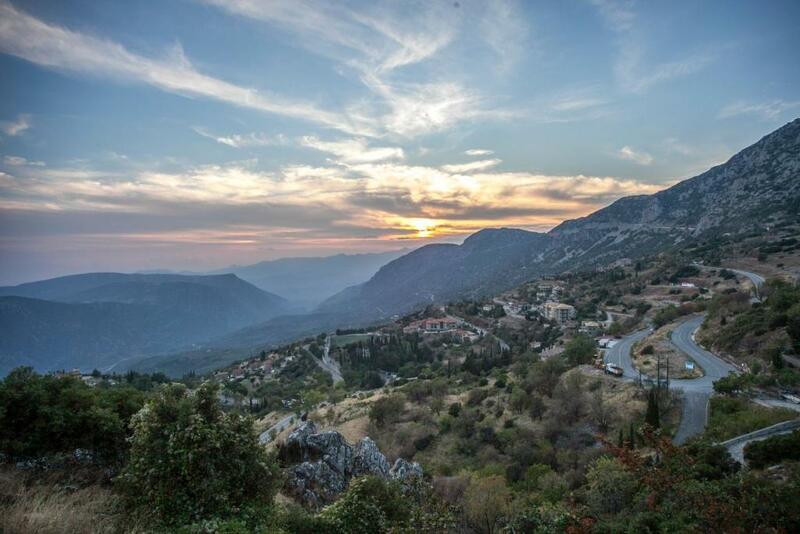 Delphi is a 10 minutes drive away and there are plenty of interesting places to visit in the area, such as the Parnassos natural park, Galaxidi naval town, the Byzantine monastery of St. Loukas, the village of Agoriani, etc. On clear days the magnificent view of the valley towards Delphi and the Gulf of Corinth is visible from the house enticing you to venture out exploring. The lovely beach of Ag. Isidoros in Antikyra, is only a 20 min drive away. House Rules Tripio Lithari takes special requests – add in the next step! Guests need be quiet between 3:00 AM and 5:00 PM. Please inform Tripio Lithari of your expected arrival time in advance. You can use the Special Requests box when booking, or contact the property directly using the contact details in your confirmation. Beds were very hard. Sofa was small to accommodate all of us. Living area was cold despite the number of heating units.